An investment in Russia near the end of the crisis in Ukraine and Crimea would be an excellent move. This would take advantage of the recent plunge in the stock market (near 13%) and the further devaluation of the Russian ruble this week (3%). The recent decline in the ruble is the result of both foreign and domestic investors reacting to the diplomatic crisis by selling the Russian ruble for western currencies. The current annual cash outflow of 60 billion in the last 2 years will be easily surpassed this year. The figures for January alone are 17 billion and that was before the present diplomatic crisis. The Russian ruble had already declined 10% as the Russian economy experienced a significant slowdown and weak future growth prospects. Russia’s Central Bank has already responded to the financial situation by raising interest rates from 5.5% to 7%. The Bank also invested 10 billion to stabilize the ruble. The aim is to keep inflation lower and to give indication that there will be an attempt by the central government to defend the ruble. Real military action in the Ukraine could easily cost Russia 3% of its GDP in direct military costs. Global trade will also take a hit. It is important to note that 70% of Russia’s exports are from oil and natural gas. That is from the 5 million barrels of energy that is exported mostly to Europe daily. As a result of the Ukrainian crisis Turkey and the European Community will continue their efforts to become less dependent on Russian energy. Any trade sanctions or even a reluctance to do business with Russia will hurt the domestic economy even further. Investment by companies in Russia was stagnant last year and fell by 7% in January alone. However, despite the grim news it most be pointed out that according to the International Monetary Fund (IMF) the Russian economy grew 3.4% in 2012 and 1.5% in 2013. Growth was forecast to increase this year but that will be called into question depending on the length of time the crisis in Ukraine continues. It is also true that Russia still has almost 500 billion in foreign exchange reserves which will provide some support for the ruble as well provide the money for much needed investment in different sectors of the economy which includes infrastructure. Some feel the grim news from Russia on the economic front will force an early settlement in the Ukraine. One could also argue that the poor economic situation is precisely the reason why Russian President Putin has allowed the crisis in Ukraine to continue. In either case if Russia is unable to attract foreign investment through capital and joint ventures with multinational companies and individual investors the economy will experience little if any growth. In the short term Russia is not a good place for investment. Long term investment is a different story. As the Russian economy dips closer to a recession there will arise opportunities to invest in stocks and ventures that will be on “sale” later this year. Russia has definite strengths for any investor to consider. The country is by far the largest country in the world at 17,098,242 km2 (6,592,800 square miles). The population is estimated to stand at 143,700,000 making it the 9th largest in size. The nominal GDP for 2014 is expected to be $2.215 trillion (1,614 trillion Euros) making it the 8th largest economy in the world and the 6th largest by purchasing power parity (PPP) The per capita growth will be close to $15,717 (11,449 Euros). 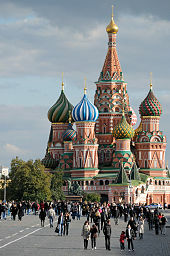 Russia entered the ranks of becoming one of the top ten largest economies in the world between 2007 and 2008. This was a result of the rapid growth in the preceding 10 years. It is the 8th largest exporter in the world with a value of $515 billion USD (372 billion Euros) estimated for 2013. In 2012 it was the 13th largest trading nation with the total value of good and services coming in at $864 billion USD (623 billion Euros). The most important trading partners include the Netherlands, China,Belarus, Germany, the Ukraine and the United States. 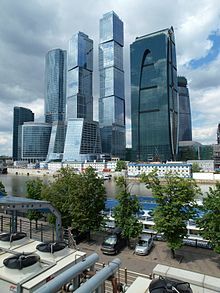 In late 2008 and early 2009 Russia experienced its first recession since the beginning of the 21st century Later that same year stable economic growth resumed. The global financial crisis of the time did not effect the Russian economy that much because of its low levels of sovereign debt and previous government policies. The Russian government is expecting on average 2.5% growth in future years. 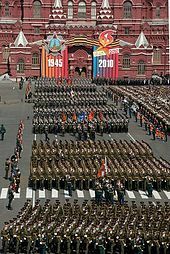 The 21st century has brought Russia more political stability and much higher domestic consumption. The average monthly nominal salary in 2000 was only $80 dollars (USD). By 2008 it had increased to $640 USD. By 2013 it had increased to $967 USD. The rate of income taxes for most individuals is 13%. It is the second lowest after the United Arab Emirates. By 2010 the national poverty had declined to 13.7% down from 40% in 1998 and the height of the economic collapse with the dissolution of the old Soviet Union. Unemployment which stood at 12.4% in 1999 had dropped to 6% by 2007. In the year 2000 there were 8 million Russians in the middle class by 2006 this had grown to 55 million 1 out of 3 Russians. Natural gas,metals,oil and timber (largest supply in the world) account for more than 80% of Russian exports. Despite high prices for energy exports the contribution this makes to Russian GDP is still well under 10% and dropping. Still, it has allowed Russia on the other hand to accumulate foreign exchange reserves in excess of 500 billion by 2007. By 2008 it had reached close to 600 billion the third largest holdings in the world at the time. This has been reduced recently but still is in excess of 500 billion. In comparison the total foreign exchange reserves were only 12 billion in 1999. In 2006 Russia had repaid most of the massive foreign debts it has accumulated leaving it with one of the lowest sovereign debt rates in the industrialized world. The excess money stored in the Stabilization Fund of Russia allowed Russia to ride out the financial crisis of 2008 and 2009 rather well in comparison to many other countries. Russia is considered to be ahead of most other resource rich countries in economic development. Left over from the Soviet Union there is a long tradition of education, industry and science. Russia still has a higher proportion of higher education graduates than any other country in the region by far and has one of the highest rates in the world. It allows Russia to still have world influence in various fields of industry that involve higher technology. Another bright spot for Russia is agriculture. Steady growth since 1999 has allowed Russia to go from being a grain importer to a exporter of grain. The country has become the 3rd largest exporter of grain after the United States and European Community. Russia has the worlds largest natural gas and the 8th largest oil reserves. The country comes in 2nd for coal reserves. Russia has become the 3rd largest electricity producer in the world. Some of the negatives are the uneven growth throughout the country with a great deal of growth concentrated in the area of Moscow. The city itself has more billionaires then any other city in the world of its size. This was partly due to how the assets of the old Soviet Union were sold to former members of the old Soviet elite (the nomenclature) to create the new oligarchs of Russia. 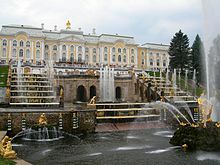 Russia is also known as the most corrupt nation in Europe with the exception of Ukraine. Infrastructure had been neglected in the 1990’s so it has deteriorated quite a bit. The government has stated that an investment of 1 trillion will be made in this sector by 2020. Investments in Russia will be most profitable in resource development and in the service industries. If you are considering a direct investment it will be important to develop personal contacts and business relationships. Local partners would be best.